Ikeas’ 99¢ tote bag and one by Balenciaga for $2,145. Balenciaga had just launched its sales of their blue bag. 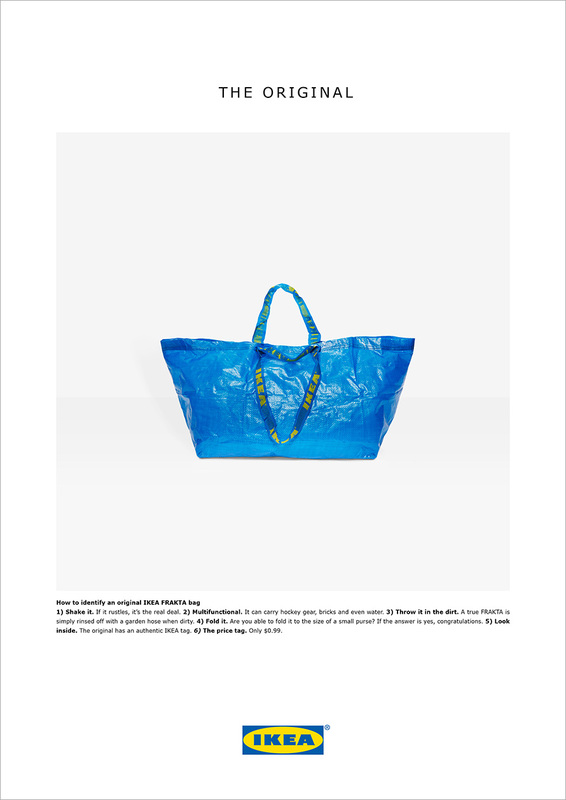 It curiously resembles the standard shopping bag used by Ikea. If it says Ikea on it, or Balenciaga, makes a price difference of 2,144 US Dollars. At the urging of its agency partner Acne, Ikea whipped up a „Original”-print ad. wie Tim Nudd für Adweek berichtet.